Can it stage a comeback? After disastrous losses in the 2016 elections, Democrats are shut out of power in Congress, the White House and 23 states, and party strategists are locked in a fierce debate over how to reverse those defeats. The party's most liberal wing says Democrats must energize their base by moving further left and embracing universal health care and other ideas that Sen. Bernie Sanders, a self-described democratic socialist, proposed during his strong 2016 run for the presidential nomination. But moderate Democrats counter that the party must broaden its support by attracting white working-class voters who helped elect President Trump. 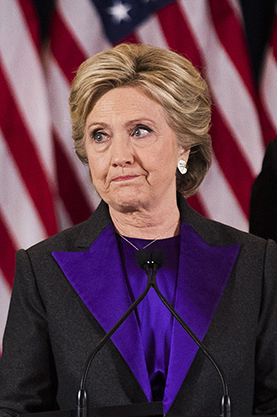 Yet others, pointing to weaknesses in Hillary Clinton's presidential campaign, argue the party lacks a compelling vision for the United States and cannot win by simply opposing Trump. Meanwhile, as a raft of liberal groups work to elect Democrats on the state and federal levels, party officials are debating whether support for abortion rights should be required of Democratic candidates seeking party endorsement.